Our seat is located in Autonoleggio Calise is located in Ischis precisely in Forio where we are dedicated to the rental of bicycles, scooters, motorcycles and cars for about 30 years, becoming a reference point for anyone who wishes to visit and move quietly with controlled vehicles daily in compliance with the safety rules. 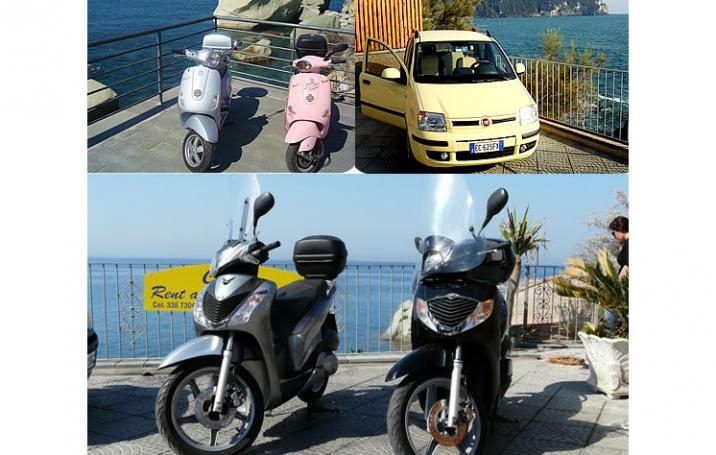 Book your Summer in Ischia by Autonoleggio Calise - Rental Cars and Scooters in Ischia with best wishes for Happy Holidays! At Calise Autonoleggio in Ischia, you will find integrity, quality and unbeatable prices, look at our offers of our scooter and car hire in Forio Ischia ... plus a discount SYMPATHY. Also, if you want a driver of trust an organized transfer, visiting Ischia by boat or a special dinner ... we will advise you and you will receive a discount of between 10-15% to eachone of these services. Contact us now for a FREE estimate, we are at your service h24. In addition, we will direct you in the most beautiful and wonderful corners of the island of Ischia to spend a peaceful and lively holiday. Ischia Porto follow directions Casamicciola, (here is the second port) continue to Lacco Ameno, Forio (here is the third port) and arrive in the direction along the seafront in Citara to Via G. Mazzella, 116 - Forio d'Ischia.